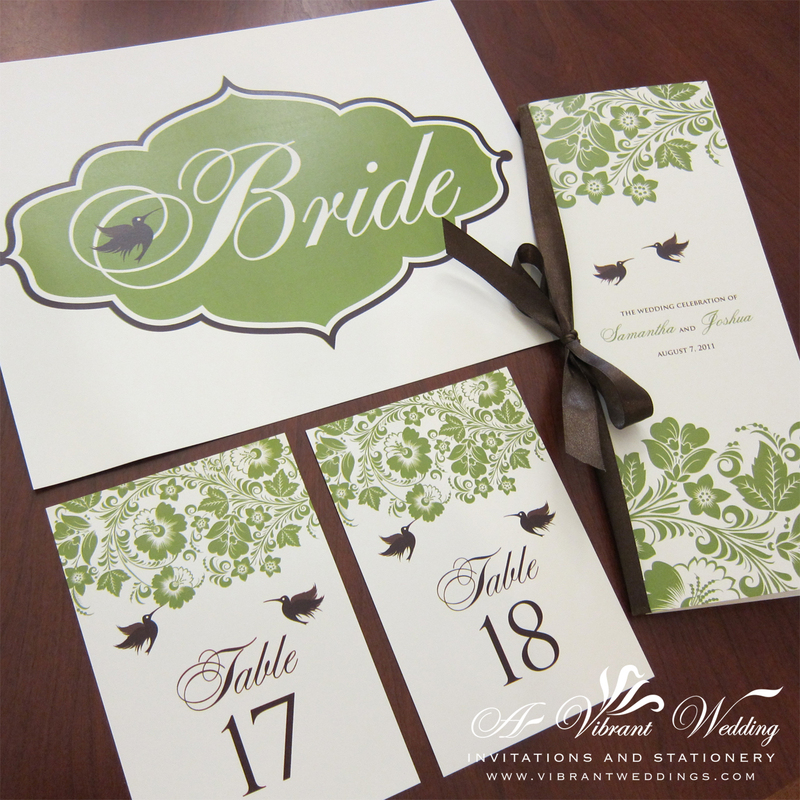 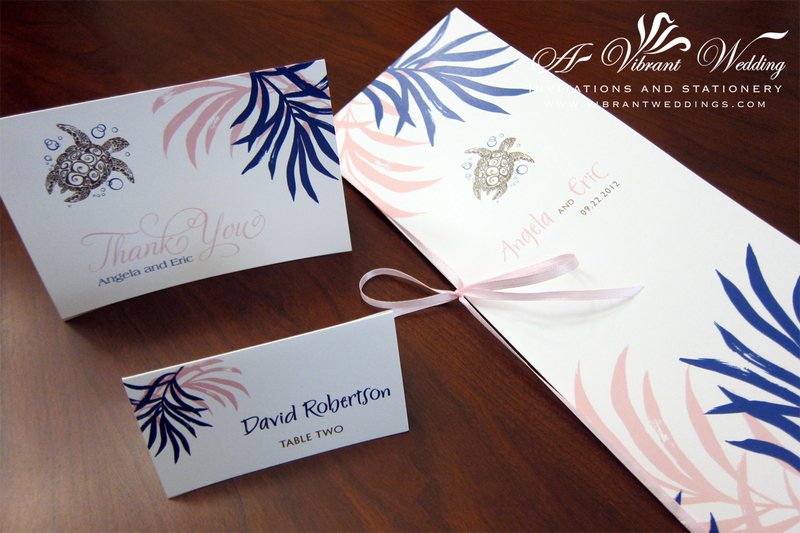 Have AVW Design your custom matching Wedding Day Stationery! 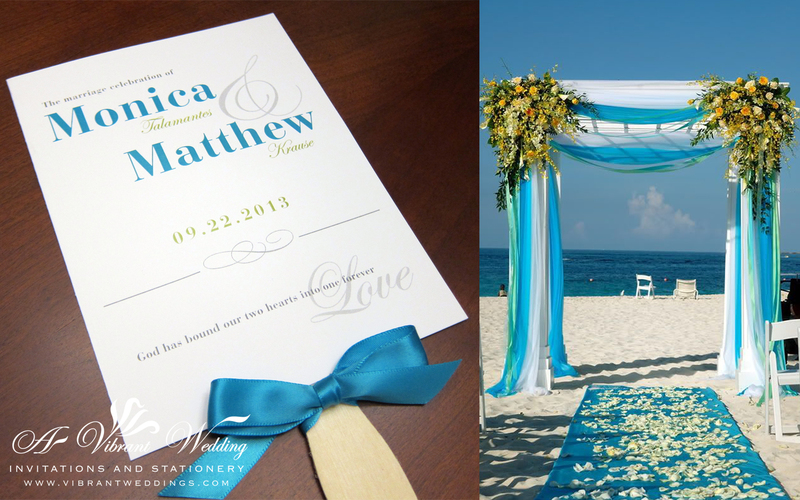 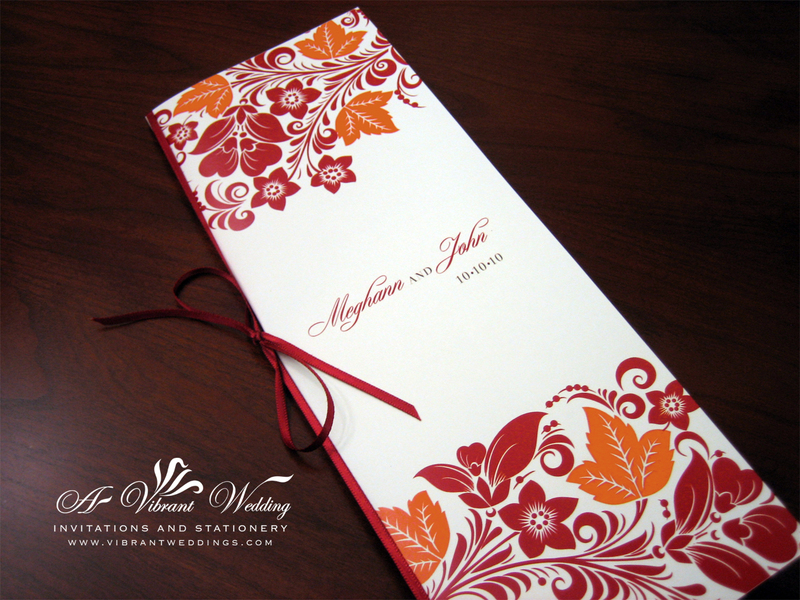 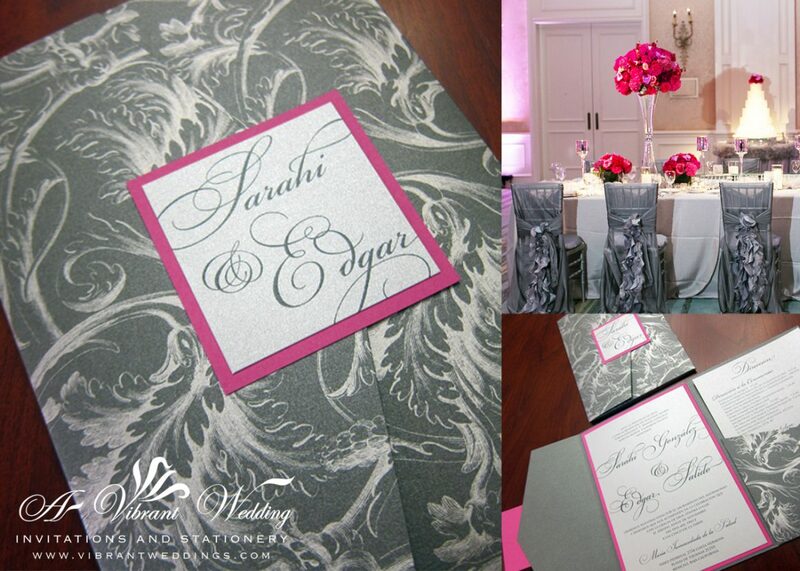 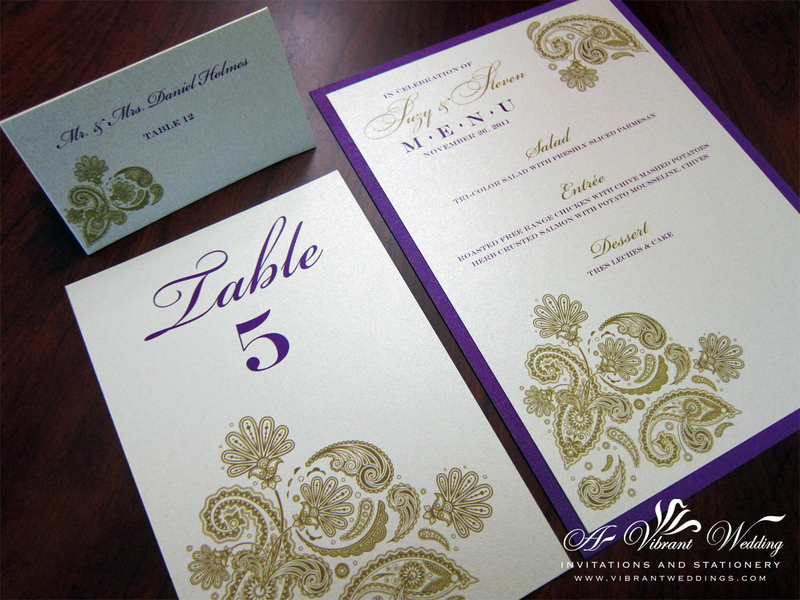 Have A Vibrant Wedding design your custom matching Wedding Day Stationery! 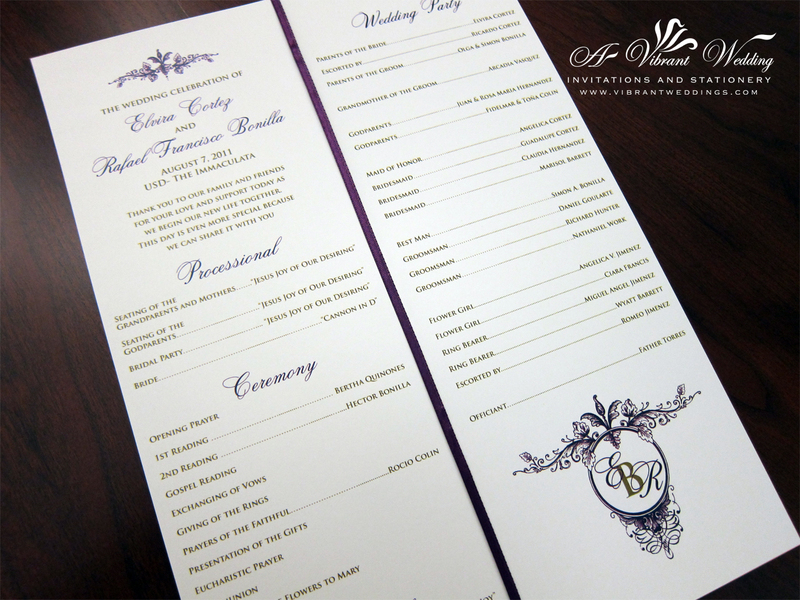 Programs, Menus card, Candy Labels and more!To view our extensive portfolio or to customize your own, please contact us at http://www.VibrantWeddings.com or (619) 852-6886. 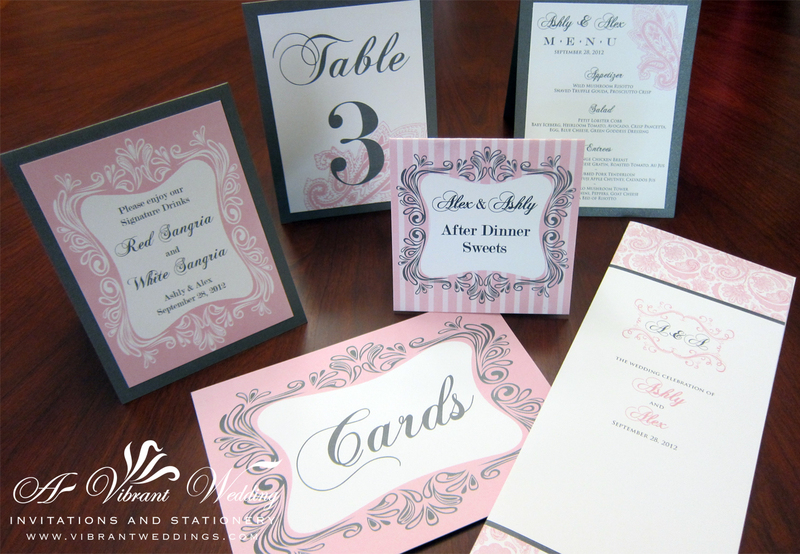 Vintage Pink and Grey day-of Wedding Stationery. 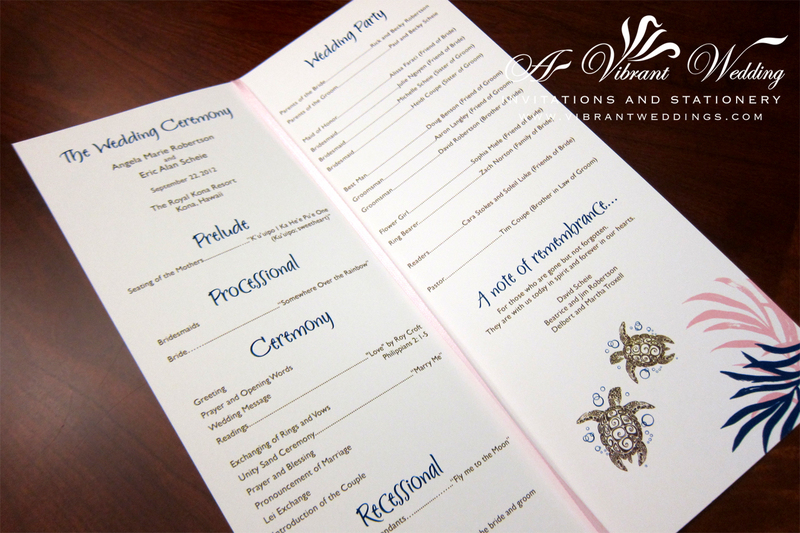 Sea Turtle Ceremony Program 4×10″ folded on matte card-stock paper. 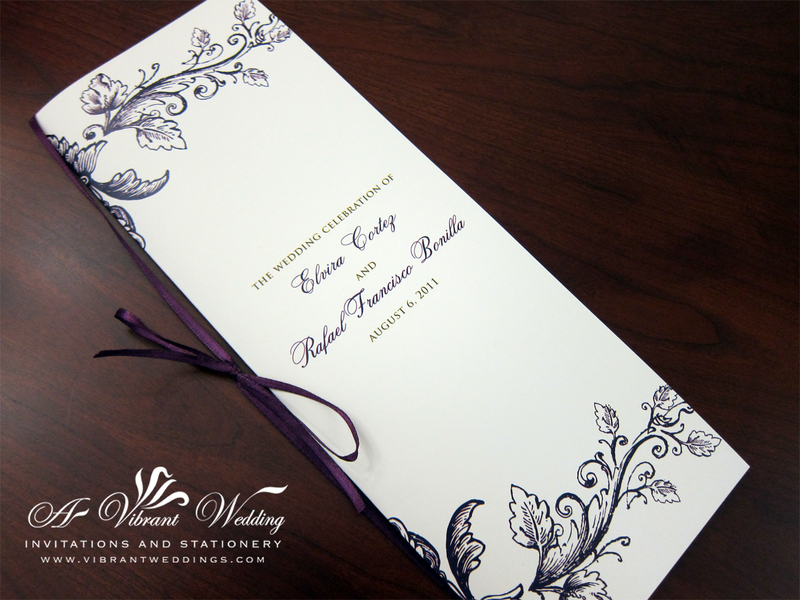 $3.50/ each 8.5X11″ Custom Ceremony Program, folded long way to 4×11″, and printed on front and back with matching colored satin ribbon tied around the middle.